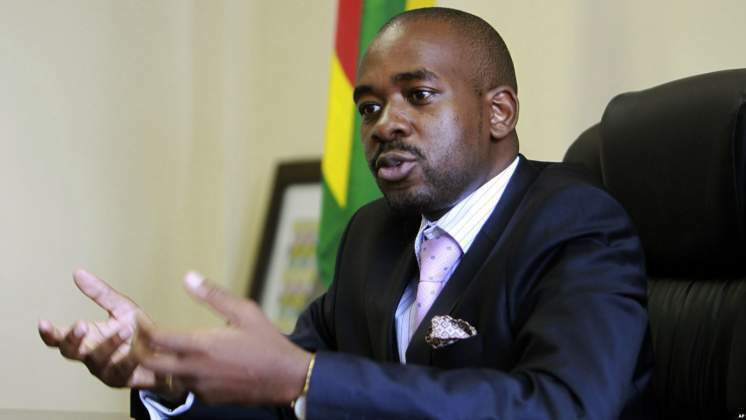 MDC Alliance leader Mr Nelson Chamisa has dribbled his coalition partners by unilaterally fielding candidates in constituencies reserved for them, threatening the co-existence of the Alliance and triggering double registration in more than 10 constituencies. Morale among partners in the MDC Alliance is now at rock bottom as they are accusing Mr Chamisa of undermining the coalition by unilaterally fielding candidates in areas earmarked for them and in some cases declining to sign nomination papers for other political parties in the coalition. In some instances, there was double registration of candidates from MDC Alliance where Mr Chamisa's camp would field a candidate alongside another partner. In Harare South for example, former legislator for the area Mr Shadreck Mashayamobe filed his nomination papers on an MDC Alliance ticket while Tichaona Saurombe from Transform Zimbabwe was also duly nominated as member of the Alliance in the same area. Other areas where there was double registration was Mazowe North and Bikita East where Transform Zimbabwe fielded candidates alongside the representative from Mr Chamisa's camp. There was also confusion in Mabvuku-Tafara constituency, where primary elections losing candidate Mr James Maridadi filed papers together with winner Mr James Chidhakwa on an MDC Alliance ticket. Zanu Ndonga spokesperson, Mr Reketayi Semwayo yesterday complained that all the constituencies that had been reserved for his party were withdrawn. "We had agreed that I contest in Chipinge Central while Mr Aaron Sakwinje would stand as a Senator. "There were also some Proportionate Representative seats that we had agreed on, but all of them were withdrawn. "I think they are taking advantage of the absence of Mr Morgan Tsvangirai to flout our agreement," said Mr Semwayo. The MDC Alliance fielded two candidates each in six constituencies namely Zaka West, Gutu North, West and Central, Bikita East and Masvingo South. In Gutu West Messrs Stanley Manguma and Knowledge Mupini both filed papers to represent the MDC Alliance, where they will square up with John Paradza of Zanu-PF and Mr Tauya Chinama of People's Rainbow Coalition. The situation is the same in Gutu North, where Messrs Hamandishe Maramwidze and Juniel Manyere will both represent the MDC Alliance in a contest against Yeukai Simbanegavi of Zanu-PF and Mr Jonah Wakurawarerwa of MDC-T.
Two MDC Alliance candidates, Messrs Crispa Musoni and Enerst Mandigo also square up against each other in Gutu Central where they will battle it out with Winston Chitando of Zanu-PF, Mrs Shillah Bikoloni of Build Zimbabwe, Mr Pias Rungwaro of MDC-T and Mr Last Mafuratidze of People's Rainbow Coalition. The MDC Alliance will also have two candidates in Masvingo South after Messrs Lovemore Matongo and Justin Makota both filed papers to represent the party. They will square up against Claudios Maronge of ZANU-PF, Mr Knowledge Mabvuure of BZA, Mr Action Haruchenjerwi (Independent), Mr Lawrence Mavhaire (PRC), Mr Victor Vengeyi (Independent), and Mr Simon Senda (UDA). In Bikita East, two MDC Alliance candidates Messrs Bonface Mudzingwa and Satiya Sengedzeni also filed their papers to represent the party, where they come up against Johnson Madhuku of Zanu-PF and Mr Ernest Rambe of NCA. The situation is the same in Zaka West where the two MDC Alliance candidates, Messrs Festus Dumbu and William Zivenge both filed papers to contest in the constituency. They will slug it out with Ophias Murambiwa of Zanu-PF, Mr Happyson Jasi (ZIPP), Mr Peter Mahlekete (PRC), and Mr Elvis Mugari (NPF). There was chaos in the MDC Alliance camp when two candidates— Osherd Mutunhami and Daniel Mabonga — who are both vying for Shurugwi South constituency turned up to file their papers. Mr Mabonga was forced to withdraw and filed his nomination papers as an independent candidate in protest after Mr Mutunhami was imposed as the MDC Alliance candidate. MDC Alliance spokesperson, Professor Welshman Ncube, confirmed that Mr Chamisa's camp had unilaterally withdrawn some seats or reduced the number of allocated constituencies for partners. "Yes it is common cause that there were seats taken from partners by our colleagues in the MDC-T (Chamisa's camp). We are in the process of engaging them to say this is what has happened and how do we move together to achieve the broader objective and remain united," said Prof Ncube. When contacted MDC-T secretary general, Mr Douglas Mwonzora admitted that his party had taken away seats from their partners, but defended it saying it was consistent with their agreement that a stronger political party should be allowed to field a candidate where it had more support. "The truth of the matter is that we also looked at the command of support which Alliance partner has in each particular constituency and our agreement stipulates that the party with majority support should be allowed to field a candidate. Where we feel the other party fell short we would fill in. There are other instances other parties would surrender some constituencies to us," said Mr Mwonzora. In a related matter, about 380 candidates were duly nominated in Harare province when the Nomination Court sat on Thursday. Most constituencies had an average of 10 candidates, but Zengeza East had the highest number of contestants with 20 candidates where Zanu-PF is being represented by Dr Obadiah Moyo.